But the Wintersmith isn't exactly a boy. He is Winter itself - snow, gales, icicles - all of it. When he had a crush on Tiffany, he may make her roses out of ice, but his nature is blizzards and avalanches. And he wants Tiffany to stay in his gleaming, frozen world. Forever. Tiffany will need all her cunning to make it to Spring. 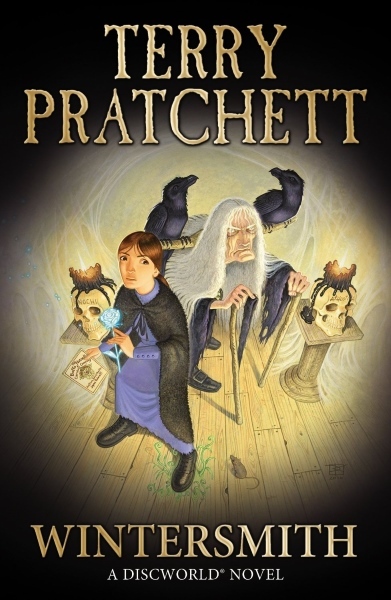 She'll also need her friends, from junior witches to the legendary Granny Weatherwax. They - Crivens! Tiffany will need the Wee Free Men too! She'll have the help of the bravest, toughest, smelliest pictsies ever to be banished from Fairyland - whether she wants it or not. It's going to be a cold, cold season, because if Tiffany doesn't survive until Spring - Spring won't come.